The Graeme Dingle Foundation is delighted Her Excellency has agreed to be Patron of our organisation. To read a complete biography of Dame Patsy Reddy please click here. Brian is a professional company chairman and director, businessman and community leade r. He was appointed a Distinguished Fellow of the Institute of Directors in New Zealand in 2014. Brian is the Chair of West Auckland Trusts Services Limited, the Melanesian Mission Trust Board and a number of private companies including Ngatarawa Wines Limited. He is Chairman of the Corban Estate Arts Centre, Chairman of the Royal New Zealand Navy Museum, a member of the Board of the Auckland Museum and the former Chair of the Graeme Dingle Endowment Foundation. Lindsay has served on the Boards of a range of companies and community organisations. She is a former Director of KPMG, and a current Director of Ngatarawa Wines Limited. She has had a long-term involvement in the education and not-for-profit sectors serving in governance roles as the Deputy Chair of the Auckland College of Education Council, the Pro Chancellor of University of Auckland Council and the Deputy Chair of Learning Media. Lindsay was the Deputy Chair of the Foundation for Youth Development and is a current member of the MOTAT Board. Lindsay also has her own consultancy that specialises in change management, working with governance bodies, assisting with the work of board appointments and CEO mentoring. A Clinical Psychologist graduate of The University of Auckland, Ainsleigh, of Ngaati Maniapoto and Ngaati Tamateraa decent, is passionate about making a difference to Maori, South Auckland and New Zealand. She has a wealth of experience in managerial and governance positions specifically in the area of child and youth mental health. She has been a recipient of a Vodafone New Zealand Foundation research award and recently graduated as an alumni of the Leadership New Zealand programme. The boundaries around ethics in her professional life are strict and she brings this sense of propriety into her work. Ainsleigh is an Academic Fellow of both Canterbury University and AUT University. Grant is the Chief Executive of Trust Investments Management Limited and past Trustee of the New Zealand Anglican Pension Fund Board and Graeme Dingle Endowment Trust. 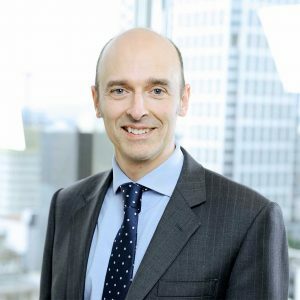 Grant spent nine years working for consulting and accounting firm KPMG in New Zealand, the Channel Islands and the United Kingdom in the fields of audit and corporate finance. More latterly he worked in the private sector working in various senior management and chief financial officer roles in New Zealand. Grant is a Chartered Accountant and a member of the Institute of Directors and the Institute of Financial Professionals of New Zealand. Kevin has extensive experience in advertising and marketing in his previous positions working as Global Director on Coca-Cola for Starcom and as Country Chair and Global Client Director at Vivaki. He has previously held executive and director positions in a number of international companies while based in New York, Hong Kong and London. Kevin was invited by Kea to assist with projects and speak at their events as a Kea World Class New Zealander. Kevin is on the Board of St Peters College in Auckland, TVNZ and the Halberg Trust, having previously completed eight years on the Board of the New Zealand Breast Cancer Foundation. Kevin maintains his executive and director roles with a number of international companies. Jo-anne is the Co-founder and prior Executive Director of the Graeme Dingle Foundation’s previous entity, the Foundation for Youth Development (formerly Project K Trust). Jo-anne has skills in licensing, mergers, research and evaluation, community development, programme development, quality assurance, organisational change, governance and the interface between Government, Business and the Social Sector. She is the current Deputy Chair of Superu,and was appointed to the Auckland Museum Trust Board in October 2015. Jo-anne was named a winner of the Social Enterprise Category of the 2014 Westpac Women of Influence Awards. In 2005 Peter founded Kerridge and Partners which has since grown to be New Zealand’s largest executive search, board advisory and leadership solutions provider to organisations across all sectors of the economy in New Zealand. Peter’s early career in a large multinational was followed by many years working as a volunteer and manager in a variety of not-for-profit organisations across the UK, Africa and South America. The passion to make a broad contribution is obvious to those who work with him. Peter has previously served on the global board for his industry association. He currently serves as an advisory trustee for Leadership New Zealand, a fab 50 member for the Be Institute and is a director of Knowhow Solutions Limited.